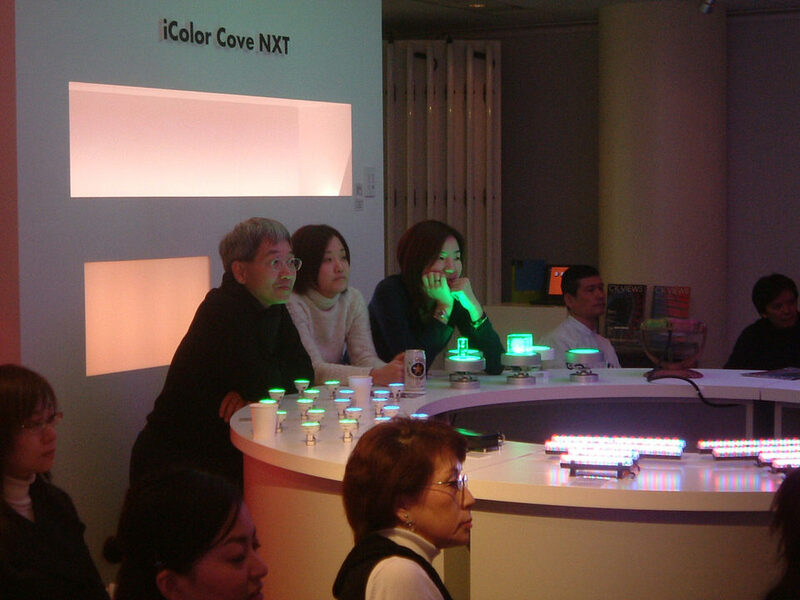 The Lighting Detectives have left the building, and moved this month’s Salon to the Color Kinetics Japan Showroom. 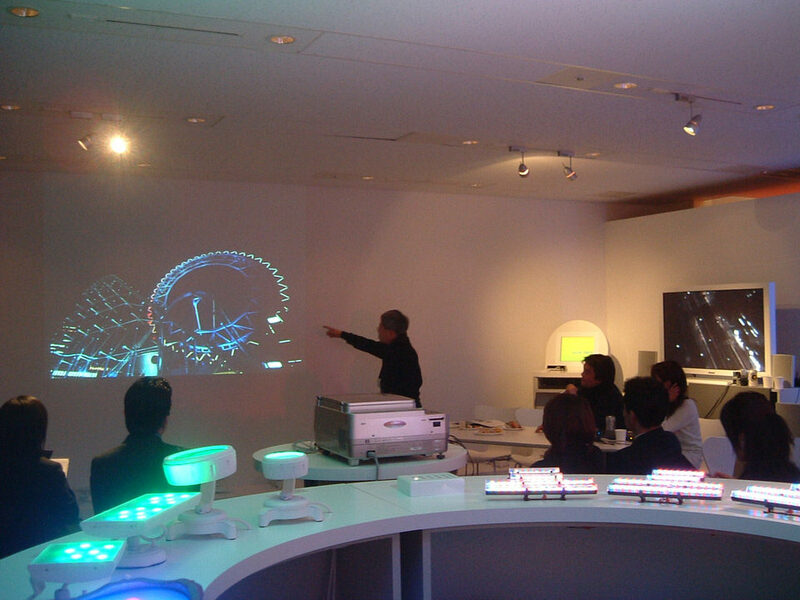 Recently, most of the Lighting Detective round-table discussions have been held at the headquarters in Shibuya, but with the help of Color Kinetics, we were able to bring a group of about 30 club members to the showroom for discussion, slideshows, and CK product review. As LED lighting is becoming more and more visible, this was an excellent opportunity to see CK products in action and inspect them with our own eyes. We also had the pleasure of special guests, Satoshi Uchihara and Mayumi Watanuki, both lighting designers who designed the recently opened Tokyo Dome City LaQua. Chief Mende and other members had a lively discussion about LaQua, as this was the venue for the most recent city walk tour.